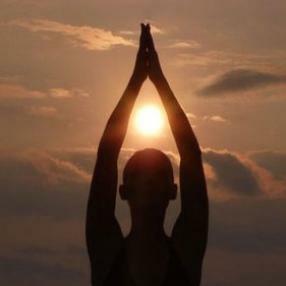 Integrating the ancient yoga teachings with a deep commitment to respecting the needs of each individual yogi. This class has long held poses that gently stretch and open connective tissue and fascia. All levels welcome. Yogic sleep. A sustained period of rest and renewal while focusing on a guided journey through the energies of thought, emotion, bodily sensation and surrounding environment. 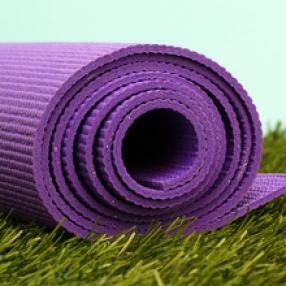 Restorative yoga is the practice of letting go and releasing to achieve physical, mental and emotional relaxation. During this 60-minute class, poses are held for extended periods of time and the body is supported by props to facilitate an environment of relaxation. This practice improves body awareness and mental focus which directly carries over to climbing. Restorative yoga is an excellent way to avoid injury by releasing muscle tension, and relieving stress and fatigue. This quiet practice stimulates the parasympathetic nervous system otherwise known as “rest and digest.” When this system is stimulated, the heart rate slows, the digestive system is aided, and the body is calmed. Modern life is fast enough—your yoga doesn’t have to be. Deliberately mindful, measured movement can balance that frenzied energy. Go ahead and surrender to our soft, soothing, spirit-lifting sequences. Quiet your mind, relieve aches and soothe your soul in tranquil sessions that are designed to leave you refreshed. Classes are held in our non-heated room, but bring layers of clothing for your own comfort. Mats, bolsters, blankets, and other props are provided, or feel free to bring your own. These are great classes for those looking to start their yoga journey as they are in a friendly and welcoming atmosphere. All levels of yoga practitioners are welcome! Restorative Yoga: A therapeutic style of yoga which utilizes props to make it easier for the body to get into certain poses, and thus, surrender to the pose. Practicing poses using props provides a completely supportive environment for total relaxation. The more your body is supported in the poses the deeper the sense of relaxation. Relaxation is a state in which there is no movement, no effort, and the brain is quiet. Typically, Restorative poses are sustained for ten minutes or for as long as you are comfortable. This deep relaxation will help you feel healed and nurtured from within. Combine this with Yin Yoga, and you get an amazing blissed out practice!